InTruBeauty: Who Owns Your Face? Jessica posted an awesome blog tonight with the eye primers- I have been in the market for a new eye primer lately, and can't wait to try to the Palladio! I will keep you all posted on what I think. One thing Jessica and I were discussing the other day is: Who owns the makeup companies? Like...obviously, Clinique is a brand, but who owns them? We decided to do a little research and found out who owns what. It will definitely make me think twice before buying that several of these brands (that are all likely made in the same factory) are available at the drugstore for much less! Some of these product labels I am not familiar with, but if I know where to buy them, I will list that. If I put a * that means I've seen these brands at discount or drugstores such as TJ Max or Walgreens. Looking at these lists, I see a few interesting trends...there are some companies that seem to cater mostly to high end products (meaning big $$$), and some that mostly only carry low end products, and then some companies who have a wide range of high and low end products. Isododecane, Water, Paraffin, Cera Alba/Beeswax, Disteardimonium Hectorite, Carnauba/Carnauba Wax, Paraffin, Alcohol Denat., Allyl Stearate/VA Copolymer, VA/Vinyl Butyl Benzoate/Crotonates Copolymer, Propylene Carbonate, Oryza Sativa/Rice Starch, Polyvinyl Laurate, PEG/PPG-17/18 Dimethicone, Synthetic Wax, Dimethicone, Propylparaben, 2-Oleamido-1,3-Octadecanediol, Dimethiconol, Sodium DNA. May Contain: CI 77492, CI 77491/Iron Oxides, CI 77007/Ultramarines, CI 77266/Black 2, Mica, CI 77891/Titanium Dioxide, CI 75470/Carmine, CI 77288/Chromium Oxide Greens, CI 77289/Chromium Hydroxide Green, CI 77510/Ferric Ferrocyanide. 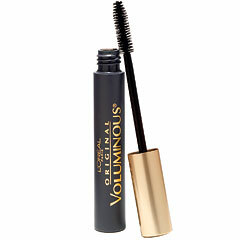 Turn up the volume of your lashes 6 times for instant come-hither, hypnotizing eyes. 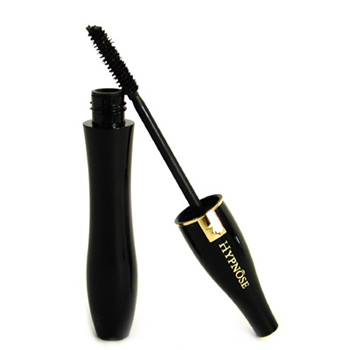 Tiny, barely-there lashes are no match for the patented POWERFULL™ brush that thickens lashes from root to tip with custom volume you can control. And the exclusive, fluid SoftSculpt ™ formula, enriched with Vitamin B5, wraps lashes one luxurious layer at a time without smearing, smudging or clumping. Ingredients: Aqua/Water/Eau, Paraffin, Potassium Cetyl Phosphate, Cera Alba/Beeswax/Cire Dabeille, Cera Carnauba/Carnauba Wax/Cire De Carnauba, Acacia Senegal/Acacia Senegal Gum, Cetyl Alcohol, Glycerin, PEG/PPG-17/18 Dimethicone, Steareth-20, Simethicone, Sodium Polymethacrylate, Phenethyl Alcohol, Disodium EDTA, Hydrogenated Jojoba Oil, Hydrogenated Palm Oil, Hydroxyethylcellulose, Panthenol, Polyquaternium-10, Phenoxyethanol . May Contain/Peut Contenir : CI 77266/Black 2, CI 77499/Iron Oxides. In order to compare these products, I typed in several of the names I didn't recognize from each (let's be honest...the only thing I recognized on each was water!) and tried to find out what was similar. I got down to the last 5 ingredients in each before giving up. But what I discovered, is that most of the ingredients are identical in every way. Scientists like to have several names for 1 single thing. I also noticed, although it took me a while, that many of the Lancome products' ingredients are written in French. All in all, I'd like to say that there is about a 95% similarity, if not 100%. I look forward to doing more reviews like this on more similar products and their ingredients!